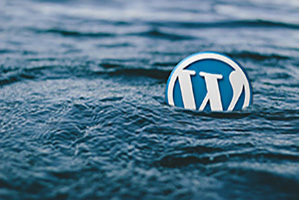 While WordPress is open source, and because of that has thousands of developers building resources for it, it still takes quite a bit of learning to become a master at building and managing websites with it. With this WordPress Course, you will be able to create beautiful website in WordPress. What i will Learn ? Creating a beautiful website/ blog using an Open source CMS WordPress. You will learn how to manage and work with WordPress, how easily you can full fill your clients requirement. We are covering in this course ? Updating WordPress, Themes and Plugins. Creating backup and restore systems. In this Free Online Course we will learn about WordPress which is very popular Content Management System. We will learn how to create a website or blog even a non-techie person will also be able to make a website using WordPress after doing this online course. 1. Do not post Adult/illegal Links. 2. Try to comment in only English Language. 3. Do not post other website's links which are useless. 4. Your Comment should be based on the Topic for other queries Kindly Visit our Contact Us Page. 5. Do not use Abusive Language. Rajesh Kumar is the founder and editor of Geeky Shows and TechZuk. He teaches online courses with Purpose, where he aims to help people create meaningful career and lives. Follow me on social media and say hello!